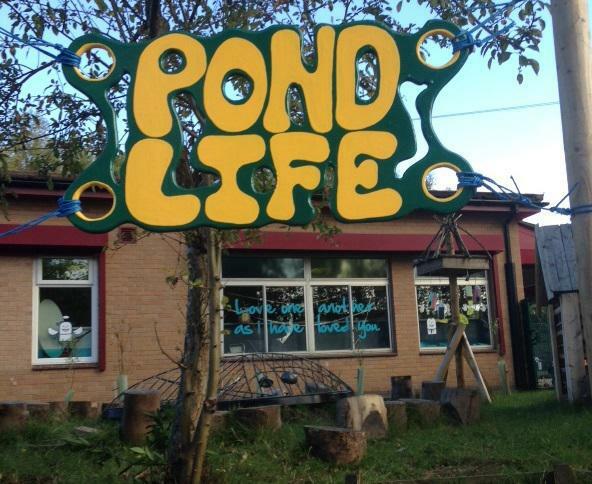 The Pond Life area has been developed over the past two years. The safe pond was purchased as a center-piece which has slowly been populated with plant and animal life from our community. The fish provide much entertainment for our pupils and the area is popular at lunchtimes for those pupils wishing to have access to a quieter part of the playground. The area is a vital outdoor learning resource and is often used to assist in the study of Science, Art and Literacy.